BYB&S has established a partnership with Positive Coaching Alliance (PCA), a national non-profit developing “Better Athletes, Better People” by working to provide all youth and high school athletes a positive, character-building sports experience. The partnership provides BYB&Saccess to PCA’s training for coaches, sports parents, student-athletes and administrators, comprising live group workshops, online courses. The first phase of this relationship is to have 2019 team managers complete online coach training to be best prepared and equipped to provide a great experience this season. PCA has partnered with roughly 3,000 youth sports organizations, schools, districts, conferences, to create a Development Zone culture, where the goal is using youth and high school sports to develop Better Athletes, Better People! BYB&S is providing online training opportunities for all 2019 Managers. Each division Commissioner will relay to the details to each team manager. Positive Coaching Alliance (PCA) develops BETTER ATHLETES,BETTER PEOPLEthrough resources for youth and high school sports coaches, parents, administrators and student-athletes. In addition to hundreds of free audio-video and printable tips and tools atwww.PCADevZone.org, PCA has partnered with roughly 3,000 schools and youth sports organizations nationwide to deliver live group workshops, online courses and books by PCA Founder Jim Thompson that help those involved in youth and high school sports create a positive, character-building youth sports culture. · The Triple-Impact Competitor®, who strives to impact sport on three levels by improving oneself, teammates and the game as a whole. PCA gains support from a National Advisory Board, including National Spokesperson and 11-time NBA Champion Coach Phil Jackson, and many other top coaches, athletes, organization leaders and academics who share PCA’s mission. 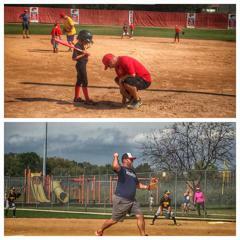 ©2019 Barrington Youth Baseball and Softball / SportsEngine. All Rights Reserved.